Hops. Cannabis. Tomatoes. More alike than you think. Hops are a distant relative to cannabis and grow similarly to hydroponic tomato vines. We've been working within the cannabis industry for close to 7 years now and have been working with produce growers since we started 85 years ago. We took what we knew about the former two and combined it to design an environment and fertigation system that allowed our hops to grow and flower after 3 months. Photoperiodism is a plant's natural response to light, which controls its flowering. Both cannabis and hops are short-day plants, and prolonged periods of consistent darkness are a natural trigger for flowering. In a greenhouse, replicating the short-day cycle is achieved through a blackout system with supplemental lighting. This makes the plant believe that the amount of darkness is greater than the amount of light. 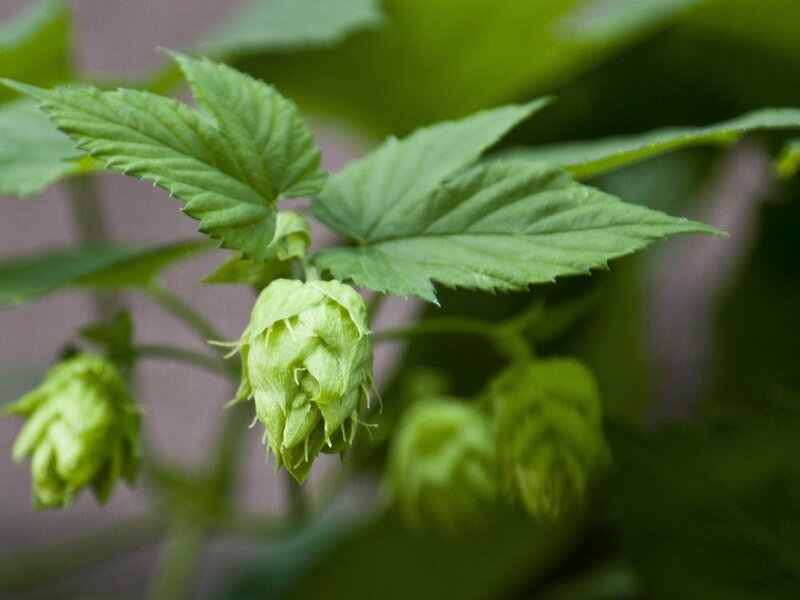 Following the natural day length of the year, as days get shorter the hops bine will produce flowers, and eventually the cones. Our experience and expertise lies in customized fertigation systems (fertilizers, soil amendments, and other water-soluble products into an irrigation system) to optimize space and produce quality yields. Automated environmental controls allow you to cut energy costs, while getting the highest return from your crops and avoiding the seasonal limitations of traditional farming. We designed the HopsHouse borrowing from successful growing techniques in the hydroponic produce growers. Like other vines, hop bines are “leaned and lowered” a technique taken from the tomato and cucumber industry to increase flowering, plant length, and yield. Hops are generally grown in a field, growing up to 25 ft. tall over a growing season - this method guarantees there's plenty of room for them to be grown in a greenhouse. No longer are breweries and growers beholden to big beer conglomerates or inclement weather. HopsHouse offers a competitive advantage, supplying a fresher and more local product- straight from the bine to the brewery.